We, the undersigned, would like to take this opportunity to add to your Christmas stress by inviting you to partake in the very first Cantabrigensis Hash House Harriers Secret Santa. The event will take place on the 19th December. 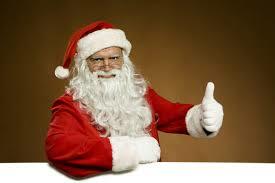 Before the hash, put your package in Santa’s sack and after the trail, Santa will hand out the presents. If you want to participate but cannot attend on the 19th, you will need to get someone to bring your present to the pub. Don’t enter if you cannot fulfill your duties, because you might make someone cry. Rules are easy. Sign up by the 8th December by using this link. On the 9th you will be given the name of the person you need to buy (or make) a present for. The spending limit is £5. On the 19th, come to the hash! Remember that this is SECRET Santa, so no blabbing.